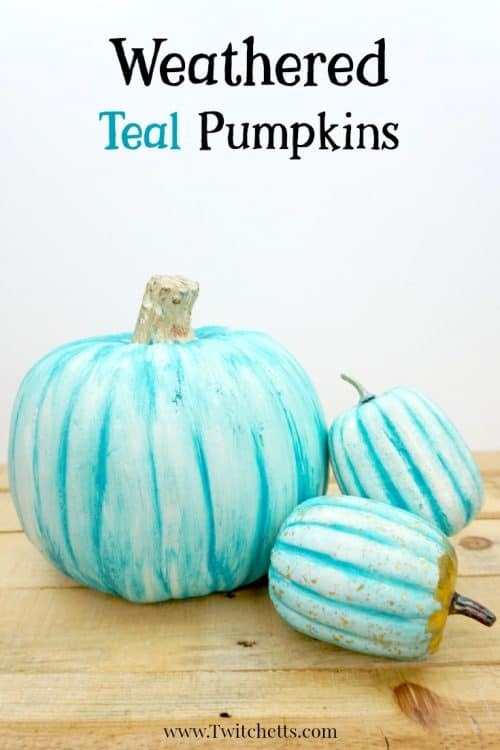 Create beautifully painted plastic pumpkins for loads of decorating ideas. 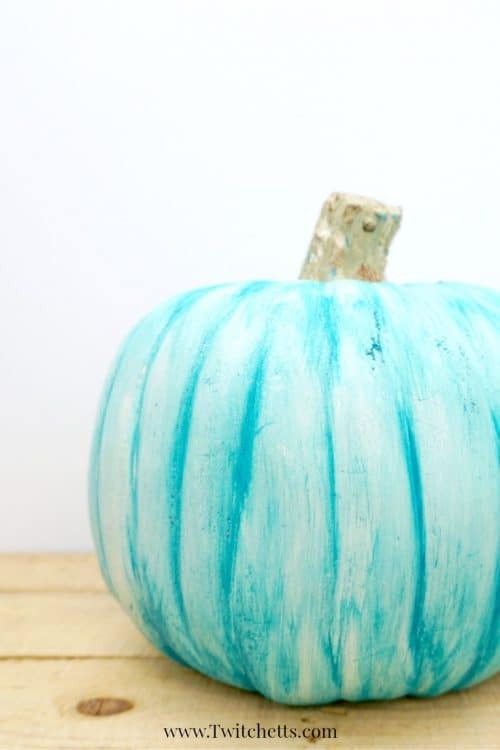 From teal pumpkin project to fall decorating. 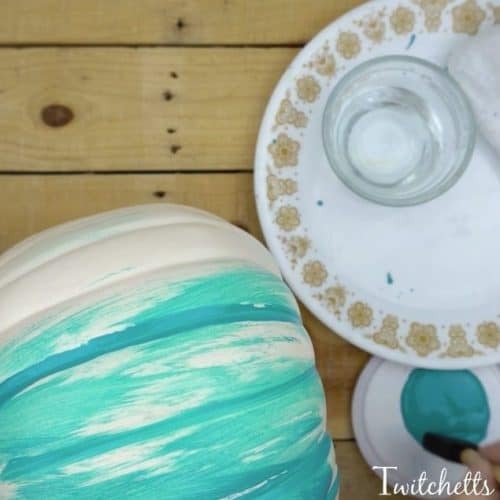 This weathered look will amaze everyone, and it’s simple to create! 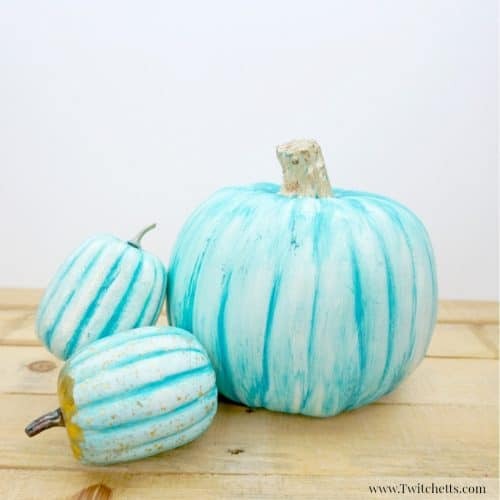 If you are thinking about adding a teal pumpkin to your porch this Halloween, check out this fun weathered teal pumpkin look! We really loved using this technique last year to create our very popular weather plastic pumpkin totem pole! These are easy enough that the kids can help out too! White Pumpkin. As you can see I have one large one and 2 smaller pumpkins. They all had completely different textures and all worked great! Cheap Cloth. Paper towels can work too. 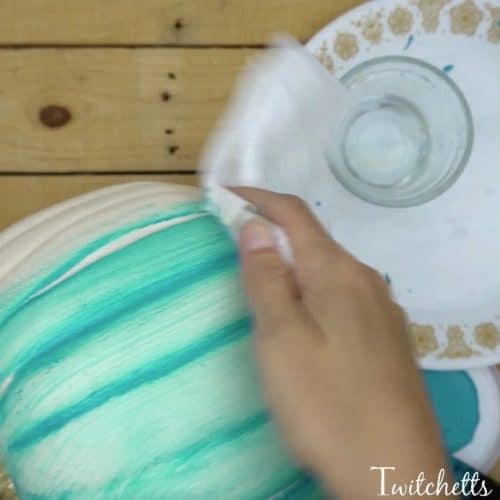 This teal painted plastic pumpkin is one of those projects you have to see in motion. I will give you the quick step-by-step instructions, but the make sure to watch the video below! 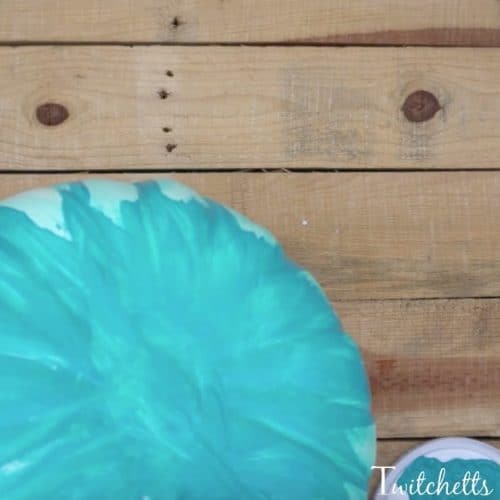 Start off by painting a section of your pumpkin using your foam brush. Make sure to get down in the grooves! Next, get your cloth damp, not soaked, and wipe off your pumpkin in a vertical motion. Continue your way around the pumpkin, don’t forget the bottom! Repeat this process until you like the look. 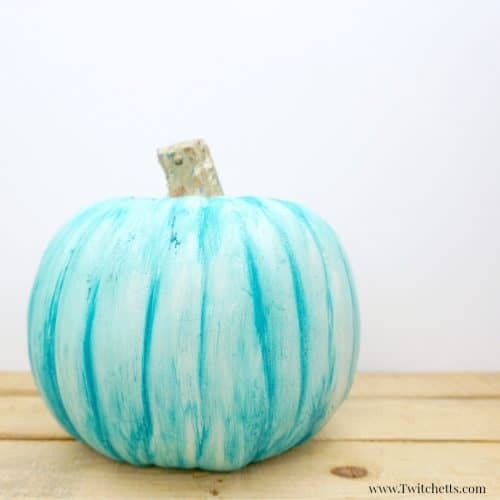 Then place your painted plastic pumpkin to the side to dry and display! 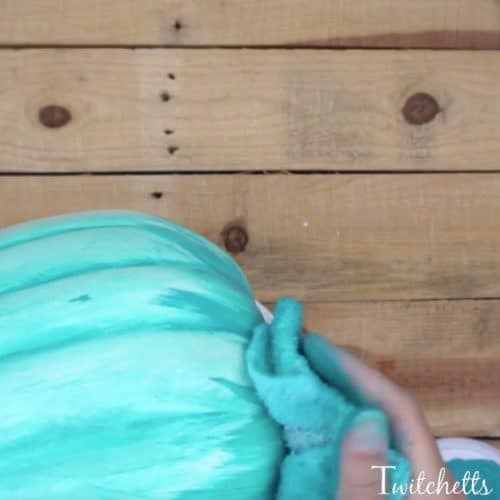 Watch the whole pumpkin craft in action! Looking for more decorated pumpkin inspiration? Check out these fun ideas!! Are you looking for amazing Halloween crafts to create with kids? 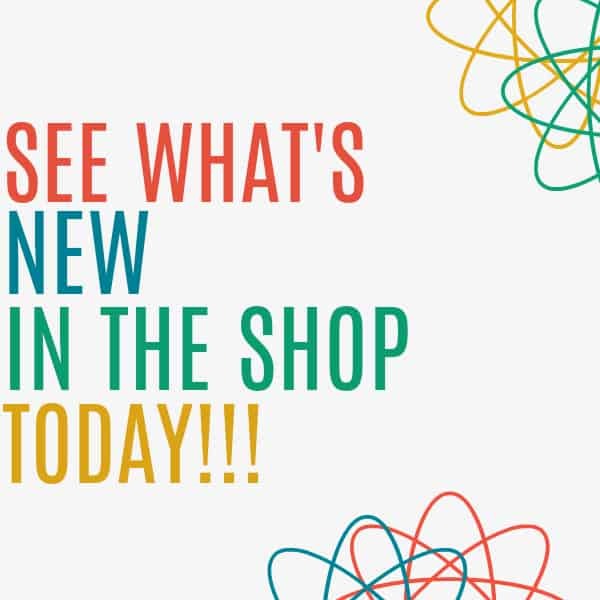 You’ll love this collection!